Still a bit brisk outside but eager for spring? Joyful Hermit shares this plight and decided to perk up the body and mind with some Springtime Soup. Select fresh vegetables that come on sale this time of year: Brussels sprouts, carrots, asparagus, sweet onions, parsnips. Ready the soup pot by the usual 2-3 Tbsp. olive oil, or add some sliced red sweet peppers or other such jarred item that you’ve purchased to use for other cooking adventures. Slice 1-2 sweet onions and sauté lightly. Peel and slice into bite-size chunks, 4-5 carrots. 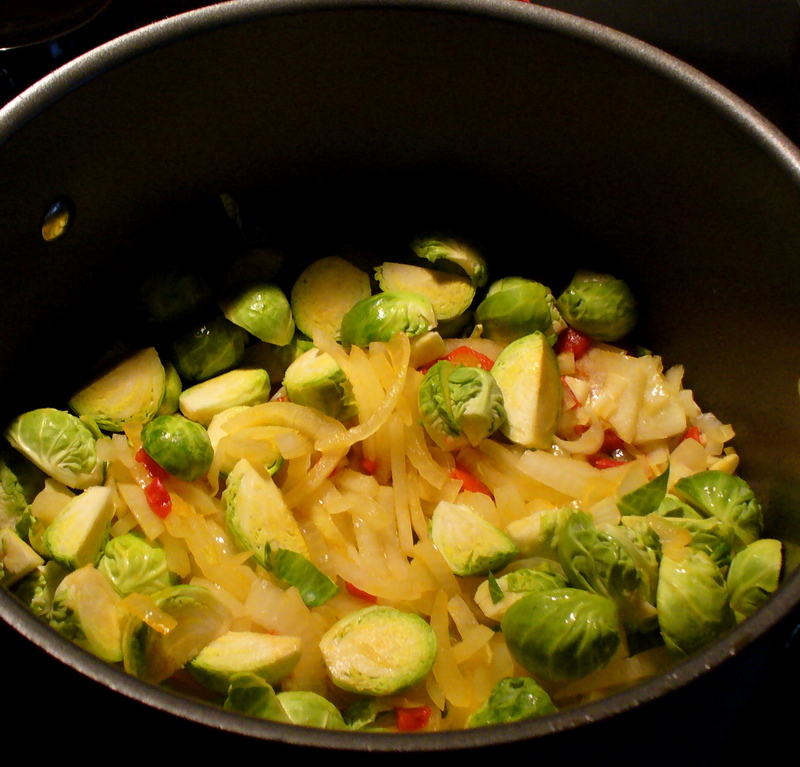 Stir into pot 1 pound, washed and quartered, fresh Brussels sprouts. Heat to medium and cook 2-3 minutes in non-oiled skillet: 1 Tbsp. of fennel seeds and 1/2 Tbsp. fenugreek seeds. 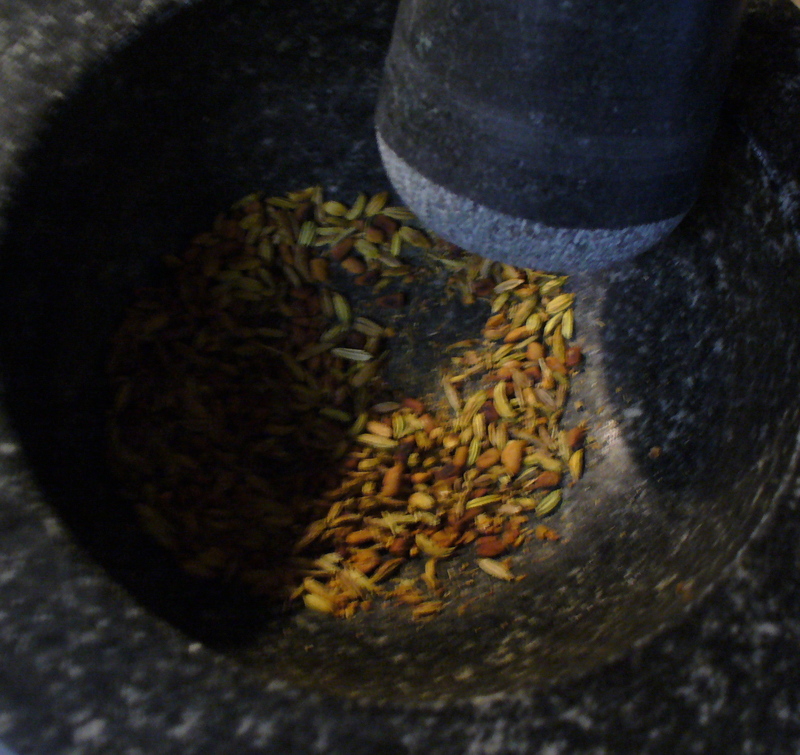 Grind with mortar in a pestle or use spice grinder. Add to the sauté mixture. Pour in to the pot a container of vegetable stock. Peel and slice into bite-size chunks 3 large parsnips. Add to the pot along with 4-6 cups water. Add 1 cup rice or rice noodles broken into 2″ pieces. Simmer until vegetables are just tender and rice or rice noodles are cooked. Season with white pepper, sea salt, 1 Tbsp. 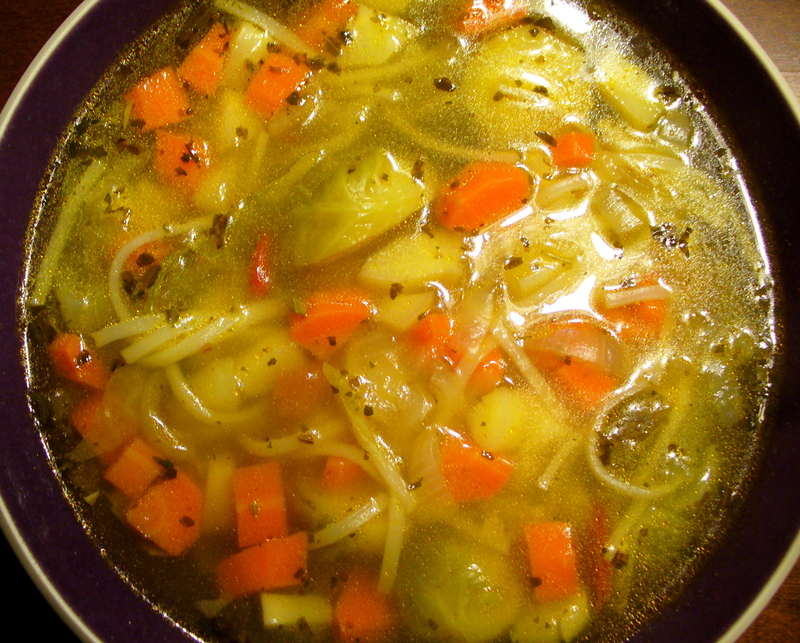 Joyful Hermit Soup Herbals™ (and 1 tsp. ground cumin if desired). Any fresh, chopped parsley would be delightful, as well! Add a cup of white wine if you like the flavor; Joyful used St. Anneliese Liebfrauenmilch [sweet white German wine] purchased at ALDI, $4.99. Joyful Hermit later added an additional vegetable, quite healthy and full of springtime green: asparagus. JH utilized the firm stem pieces after steaming a $1.99 pound of stalks, having eaten as another meal, the tender tops sprinkled with Romano Cheese. Between the asparagus and Springtime Soup (6-8 large bowls), plus options using the asparagus for other entrés, makes this week’s food budget as light as the increasingly sunny days. Note: Keep asparagus fresh, longer! Remove most bundle restraints, snip ends, and place stalks upright in 1/2″ or less of water in container. 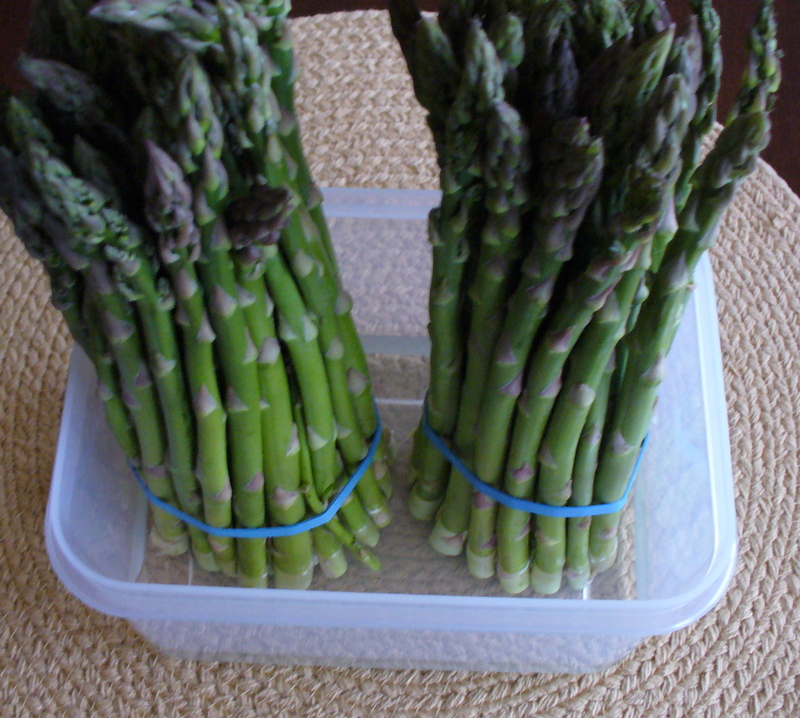 Cover standing asparagus with a bag to retain moisture, and refrigerate. In fact, when purchasing, try to select asparagus stalks that are standing in water in the grocery display. The thinner and greener the stalks, the more tender and vitamin-packed.